In the last two years, 18 year old Nandeshwaree Jalim has established herself as the number one female player for Mauritius, her dominance in the island has meant she has competed against some of the best players in Africa. Now, the teenager is embarking on a journey to Ghana, before heading to Budapest to compete in the Liebherr 2019 World Championships, play commencing in the Hungarian capital city on Sunday 21st April. According to Defi Sport, Nandeshwaree Jalim will be attending no less than three competitions within the space of one month. Ghana is the immediate destination for the player, who in October 2018, joined the French club PHAC of Nîmes in her quest to sharpen her skills. 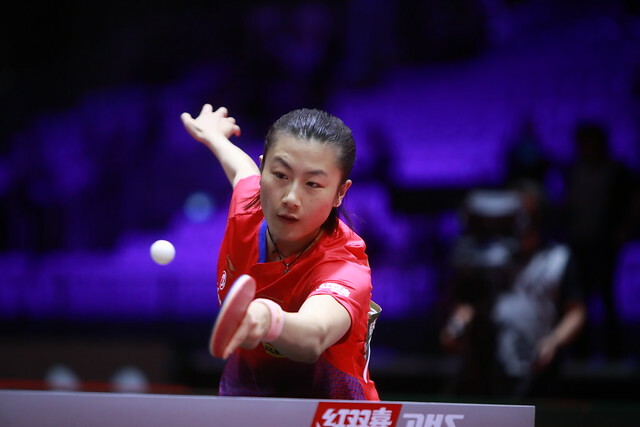 She will compete in the ITTF World Junior Circuit tournament from Monday 1st to Friday 5th April, followed by the African Youth, Junior and Cadet Championships from Sunday 7th to Saturday 13th April. Overall, including Nandeshwaree Jalim, six players from Mauritius will be present in Budapest; Brian Chan Yook Fo, Allan Arnachellum and Akhilen Yogarajah will be on duty in the men’s singles event; Caroline Ramasawmy and Oumehani Hosenally in the women’s singles competition. The team will be accompanied by the national technical director, Frenchman Cédric Rouleau. Later this year in July Nandeshwaree Jalim will compete on home soil in Mauritius in the Indian Ocean Islands Games. It is a competition in which she is very the favourite for gold; most certainly she will be well prepared.